Three-Cheese Macaroni Extravaganza, a hearty and braces-friendly winter recipe! It’s chilly outside, and sometimes nothing satisfies the team here at Banasiak & Nettune Orthodontic Associates more than a hot meal. Our friends at the American Association of Orthodontists (AAO) made an appetizing (and braces-friendly!) winter dish that is sure to delight. 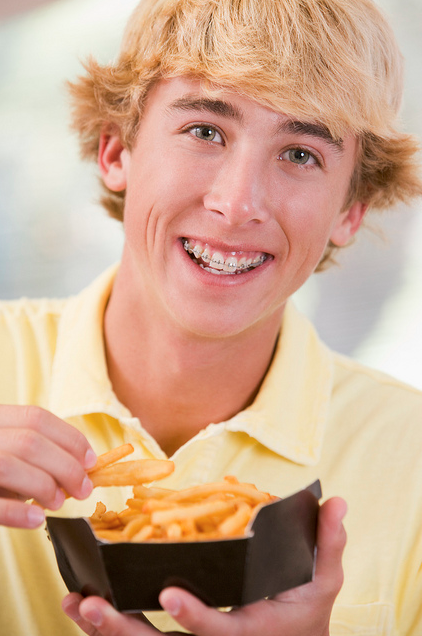 Remember, a healthy diet provides essential nutrients and helps you achieve the best possible result from your orthodontic treatment. Preheat oven to 350°. In a medium pot, boil macaroni in water until you can just cut it with the side of a fork; drain and set aside. In a medium saucepan, sauté the onions in the margarine until they are clear and tender. In a 3-quart greased casserole, stir together the macaroni and milk. Sprinkle with the cheeses and onion, then stir it all together. Sprinkle the bread crumbs on top. Cover and bake for 40 minutes at 350 degrees. Serves six to eight.